This vast continent showcases Mother Nature in all her glory, with soaring mountain ranges, hulking glaciers, verdant rainforests and gleaming white-sand beaches. Visit South America to discover a diverse range of countries and terrain. From the salt flats of Bolivia, to the golden beaches of Brazil, to Argentina’s towering mountain ranges, adventure always awaits. Hike up active volcanos, cheer alongside passionate soccer fans at a national stadium and go swimming with the local marine life just offshore. South America was home to influential ancient civilizations, whose legacy can still be felt today. Explore the fabled ruins of Machu Picchu in Peru and survey the monumental stone head statues on Easter Island. The continent’s European colonial rulers have also left their mark. Spanish is spoken across much of the continent and Portuguese dominates in Brazil, though many tribes and indigenous people still speak their own native languages. Make the city of Cuzco your base while exploring the Andes Mountains in Peru. See the floating reed islands of Lake Titicaca, which straddles Peru and Bolivia, or walk the colorful streets of lively Lima. Ecuador offers enchanting colonial towns such as Quito, as well as rainforest treks through the Amazon. Journey offshore to Ecuador’s Galapagos Islands, where one-of-a-kind species, including giant tortoises and blue-footed boobies roam free. Get a feel for Brazilian culture in Rio de Janeiro, a beachside city known for its street markets, love of soccer and fun-loving culture. Get in on the action with a match at Maracana Stadium. For beautiful colonial architecture, head for Cartagena on Colombia’s northern coast. At the southern tip of South America, Chile and Argentina are where you’ll find rolling vineyards and plenty of adventure sport opportunities. Whether you enjoy mountain biking, horseback riding or hiking, Patagonia is the place for you. With plenty of international airports, South America is easier than ever to explore. Use local buses to get you from one place to another. Sign up for guided tours and treks to explore the continent efficiently and safely. Whether you’re after rugged mountain interiors, sandy coastlines or remote islands, South America has everything you need for a memorable vacation. With rainforests and wetlands thronged with wildlife, gorgeous sandy beaches and high-energy metropolises, Brazil is a country that really does seem to have it all. Although Machu Picchu hogs the limelight of Peru’s attractions, the country promises many other delights, including a superb culinary scene, pisco-fueled nightlife and Amazonian adventures. The country that gave us the tango promises many other delights, including the thundering Iguazú Falls, the remote peaks of Patagonia and buzzing Buenos Aires. Admire scenic coastline, see the ruins left behind by ancient island civilizations and taste fresh seafood in this long, thin and wildly diverse country. On South America’s northwest coast, find an equatorial paradise filled with tropical rainforests, snowy peaks, colonial towns and ancient civilizations. Enjoy mountain treks, glacier walks, river cruises and lakeside horseback rides in this spectacular national park in the shadow of the snow-capped Andes. 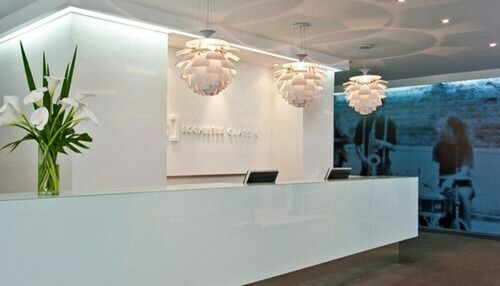 Located in El Centro, this hotel is within a 10-minute walk of Florida Street, Teatro Colon and Obelisco. Galerias Pacifico and Buenos Aires Metropolitan Cathedral are also within 15 minutes. Lavalle Station is only a 2-minute walk and C. Pellegrini Station is 6 minutes. Located in El Centro, this luxury hotel is within a 5-minute walk of Galerias Pacifico and Florida Street. Centro Cultural Kirchner and Teatro Colon are also within 1 mi (2 km). Leandro N Alem Station is 8 minutes by foot and Buenos Aires Cordoba Station is 7 minutes. Located in Santiago Center, this hotel is within a 10-minute walk of San Francisco Church, University of Chile and Plaza de Armas. Palacio de la Moneda and O'Higgins Park are also within 3 miles (5 km). Santa Lucia Station is only a 5-minute walk and University of Chile Station is 6 minutes. 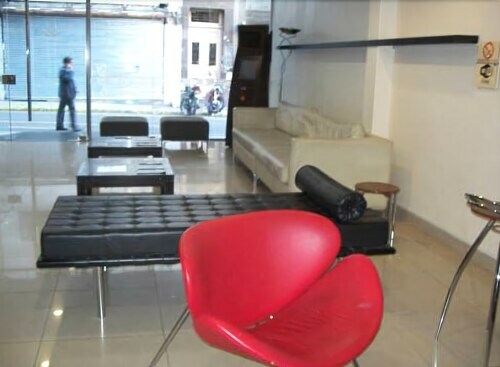 Located in El Centro, this hotel is within a 5-minute walk of Lavalle Street and Teatro Colon. Obelisco and Florida Street are also within 10 minutes. Lavalle Station and C. Pellegrini Station are within a 5-minute walk. 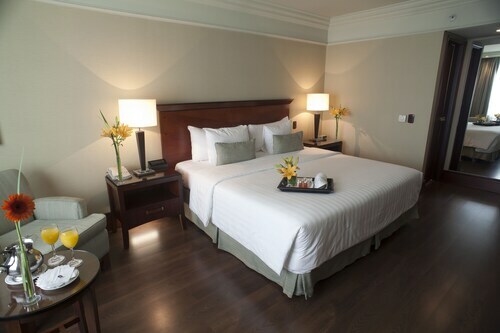 Located in Santiago Center, this hotel is within a 5-minute walk of San Francisco Church and National Archive. Pontifical Catholic University of Chile and Municipal Theatre of Santiago are also within 10 minutes. Santa Lucia Station is only a 3-minute walk and University of Chile Station is 7 minutes. 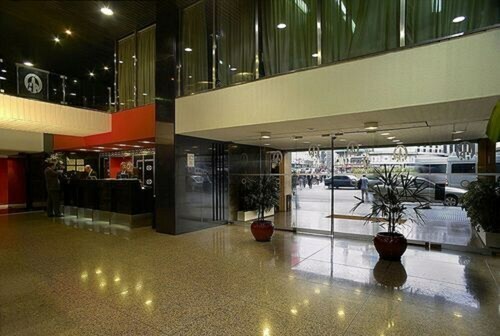 Located in El Centro, this hotel is within a 5-minute walk of Obelisco and Teatro Colon. Florida Street and Buenos Aires Metropolitan Cathedral are also within 15 minutes. July 9 Station and C. Pellegrini Station are within a 5-minute walk. 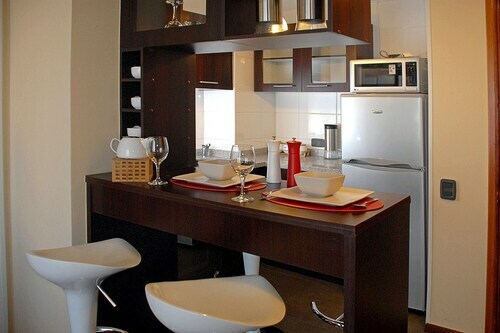 Located in Santiago Center, this aparthotel is within a 5-minute walk of Basilica de la Merced and Plaza de Armas. University of Chile and Palacio de la Moneda are also within 1 mile (2 km). Armas Station and Bellas Artes Station are within a 5-minute walk. 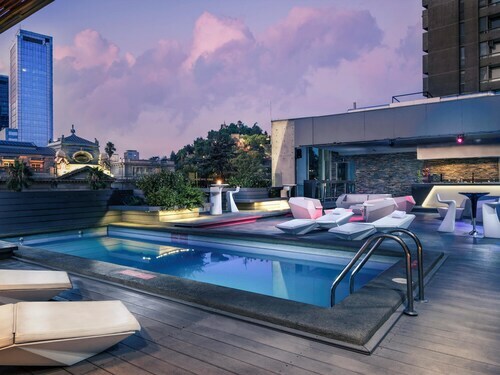 Located in Puerto Madero, this luxury hotel is within a 10-minute walk of Women's Bridge, Presidente Sarmiento Frigate Ship Museum and Centro Cultural Kirchner. Coleccion de Arte Amalia Lacroze de Fortabat and Buenos Aires Metropolitan Cathedral are also within 1 mi (2 km). Buenos Aires Corrientes Station is 7 minutes by foot and Leandro N Alem Station is 11 minutes.